Officials from China and the United States are meeting again this week regarding the trade war between the two countries. Investors seem to be waiting for any positive signs out of the meeting, hoping the two can come to an agreement and resume normal trade. Officials may be feeling additional pressure as several companies have cited weakness in China as a reason for disappointing earnings. Apple put the ball in motion back on January 2 when it issued an earnings warning and cited slow sales in China as one of the reasons for the lowered forecast. Apple is due to report earnings later today, and the expectations have been lowered, but the sentiment indicators toward the stock are still pretty bullish. Last week we saw Intel issue disappointing earnings results, and the slowdown in China’s economy was cited there as well. This week we have seen disappointing earnings from Caterpillar and Harley Davidson, as well as a warning from NVIDIA. All three companies pointed to the slowing Chinese economy as a culprit in the results. 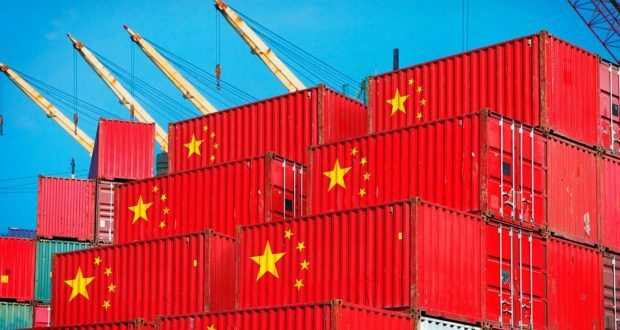 The trade war with the U.S. is certainly taking a toll on China’s economy, but it was slowing before the trade war heated up one year ago. The trade war as only accelerated the economic slowdown and it is hurting companies on both sides. I have written several articles about the trade war and believe that President Trump was justified in calling China out for unfair trade practices and for not protecting intellectual property rights. I have also voiced my opinion that I didn’t necessarily agree with the tactics employed as I was concerned that the trade war could cause a worldwide recession. While it is encouraging to see the two parties meeting again, I think investors need to temper their enthusiasm. The parties seem to be getting closer to an agreement on some issues, but it seems unlikely that they will reach a complete agreement during the meetings this week. And even if they do come to an agreement, I wouldn’t get overly excited. Trade isn’t like a light switch that you can just turn off and turn on and get immediate results. Opening up trade with the U.S. isn’t going to immediately reverse the Chinese economy. There are other issues that China will have to address and there are issues here at home as well. Once trade is opened back up, companies will need time to ramp up production based on the demand they see from exports to each of the countries. The demand forecast will help determine the demand for the components that go into the finished products. It is far too complicated to just assume that once the trade war is over the economies of each country will improve immediately. Yes, it will help, and yes investors are likely to get excited and drive stocks up once an agreement is reached. But I would encourage investors to be cautious because there are other issues that need to be resolved before the market can start a new upward trend. The government shutdown took a toll on the U.S. economy and the agreement reached on Friday is temporary, and there will be another showdown over raising the debt ceiling next month. I have mentioned potential technical resistance points for the S&P 500 at the 104-week moving average and the 52-week moving average as possible concerns. The rally in January has lifted the index above the 104-week, but it hasn’t moved above the 52-week moving average just yet. Consumer confidence is another item I have written about frequently. The January report came out this morning, and the reading was 120.2. If you have read the articles about the consumer confidence index, you know that extreme highs followed by a 10% drop are an area of concern for me. The high in October was 137.9 and now we are at 120.2, meaning we have seen the index drop 12.8% in three short months. The trade war with China is an ongoing concern, but the two parties are working on it. But it isn’t the only problem the market and the economy are facing right now. To borrow a line from former Fed Chairman Alan Greenspan, I wouldn’t get irrationally exuberant if a deal is reached.